It is because of the support we receive from the Cincinnati International Wine Festival that we are allowed to develop strong relationships with our elderly friends. The financial support allows us to take our elders out to dinner, to the ballgame, and on a trip. We are able to do for the elderly the things they can no longer do on their own. The support we are given through the Wine Festival grant allows us to provide needed services but also gives us the freedom to provide the extras, the niceties which turn into beautiful, lasting friendships for the often elders in our community like Leroy. I have had years to reflect on what the lives of our elderly friends mean. Why it is a privilege to know them and not the other way around as many times we fall into the trap of thinking. My nine year friendship with Leroy proved this once again. None of our elderly friends are going to be remembered by history as being significant; they aren’t celebrities or famous but they make a huge contribution by sharing their lives with us. Leroy and I shared nine years together and on the surface it appeared that I did many things for him. When he could no longer maneuver the long stairway leading up to his apartment we worked together to move him to the Booth Senior building in Finneytown. We commiserated with him when he had to give up his dog which he dearly loved. We celebrated birthdays, holidays and took trips to Michigan, Illinois, and Florida. In his later years I helped him transition into a nursing home, assisted with his finances, took him shopping and to medical appointments. Leroy was a man of courage. He lost his eyesight yet he never whined or complained. He dealt with his disability and made the best of it. It never prevented him from doing what he wanted as he continued to enjoy the simple pleasures of life – eating out at his favorite restaurant Pit to Plate, giving Lucy a hard time regarding studying and working hard in order to succeed. Leroy was a truck driver, worked on a farm and had other odd jobs and knew how important an education was and hard work. Leroy cared about other people. 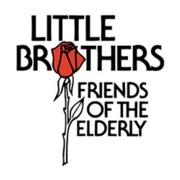 One of our elderly women who Leroy met when he first started attending Little Brothers-Friends of the Elderly events was blind and in a wheelchair. In every subsequent event they attended together he never failed to ask me to take him over to where Margaret was sitting so he could greet her and see how she was doing and share some stories together. When he was 86 years old Leroy met Mary eventually marrying her two months before he died. He said it was never too late to love someone and to share your life with another person. I saw him bring love into Mary’s family and saw how he became a part of her family. Leroy wasn’t perfect. He could be cranky and stubborn but these were always passing moods and he always ended up smiling and positive. He passed on life lessons to all of us – be happy with yourself, be courageous in your everyday living, care about other people and never be afraid to try new things no matter how old you are. The world may never recognize or honor Leroy but we know how much he meant to us and that makes all the difference in the world. Thank you Cincinnati International Wine Festival.